branches crackled with laughing tongues of flame. 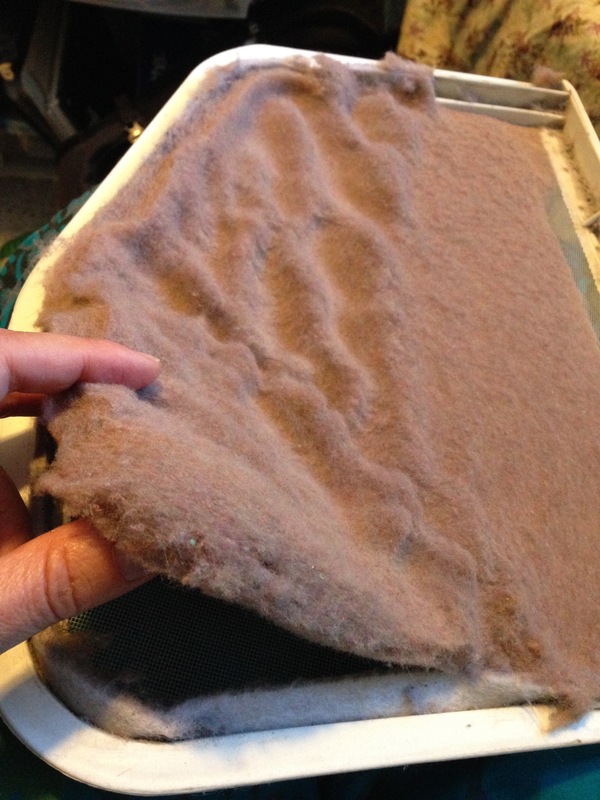 The latest dryer lint peeling, for your viewing pleasure. We recently replaced our towels with these awesome ones, and upon first wash, I got a super thick peeling of dryer lint, which I present here for your OCD pleasure. 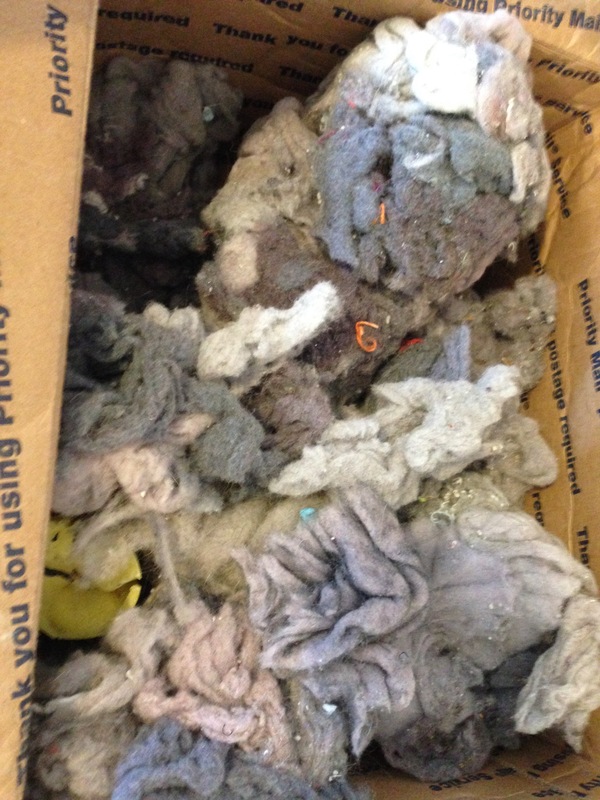 If there’s enough interest (or if there’s no interest, but I want to do it anyway), I could do a whole series of awesome dryer lint peelings. I feel a little weird posting instructions on how to make firestarters, considering how much of my state is on fire at the moment, but just fast forward to those cold days of winter, and think of what a pain it is to get a fire going in your fireplace or woodstove. Plus, if you want these babies during the cold of winter (or for the holiday gift giving season), you’ll want to start now collecting the things you will need. 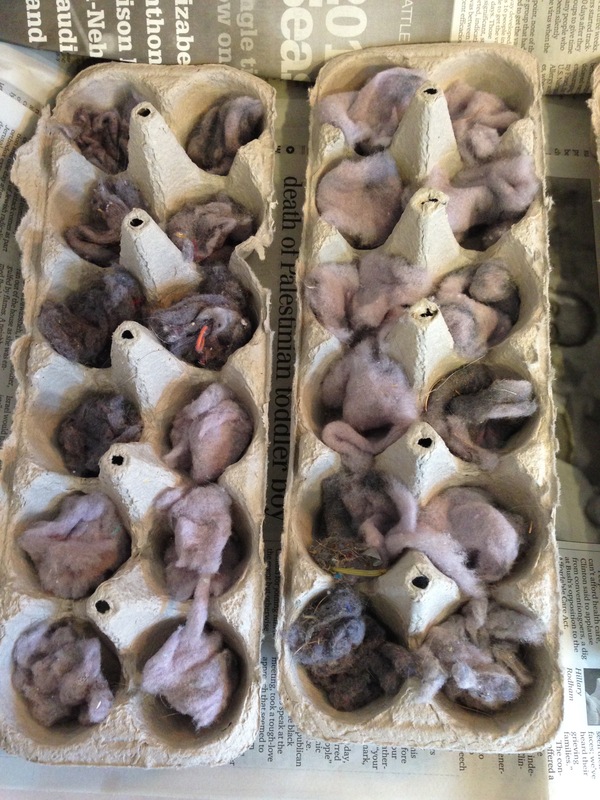 I’m going to describe how to make two different types: egg carton and pinecone. 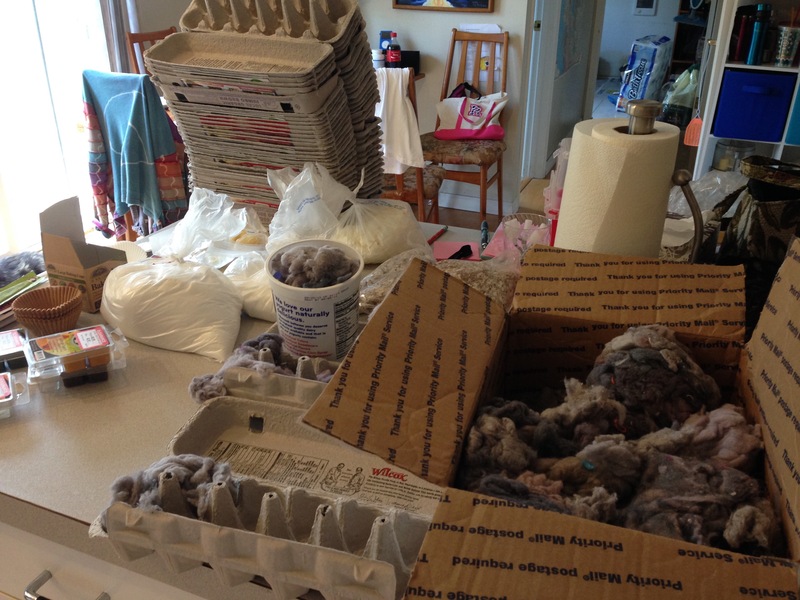 Check out the supply list for each to see if one will be easier for you. I’m fortunate in that my family eats a lot of eggs, generates a lot of dryer lint, and lives next door to a giant pine tree. 3. 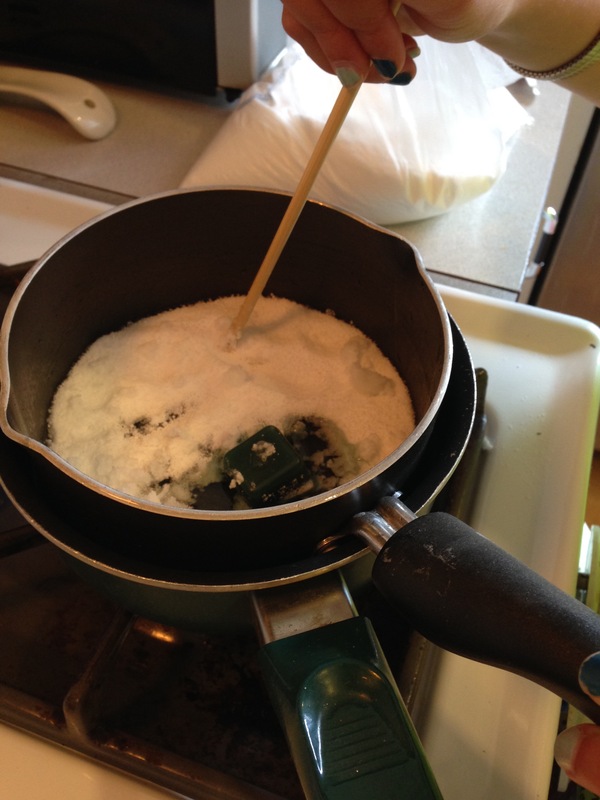 Make a doubleboiler by putting a little water in the larger pot and placing it on the heat source, then insert the smaller pot into the water pot, and put some wax into it. Stir it with a chopstick or other implement until the wax is completely liquid. 4. 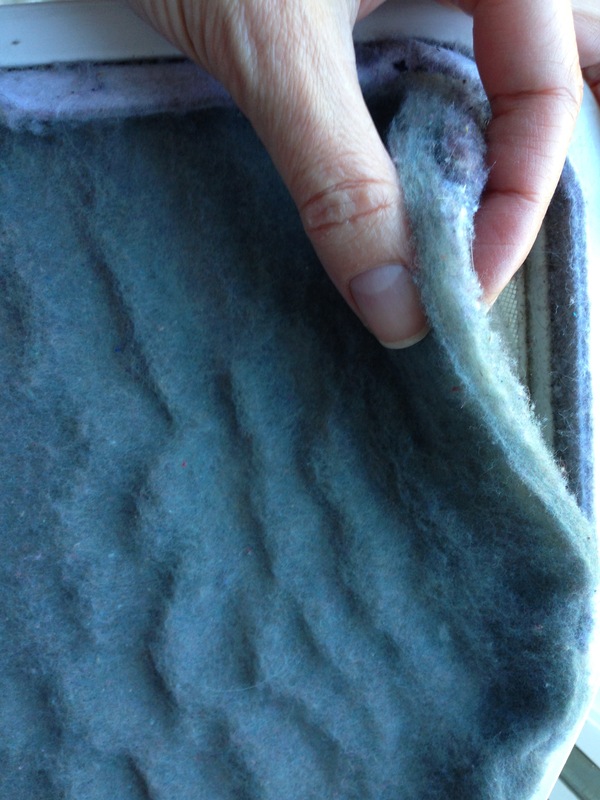 Remove the wax pot from the heat and pour a small amount of wax over the dryer lint. It will look a little like cat barf. 5. 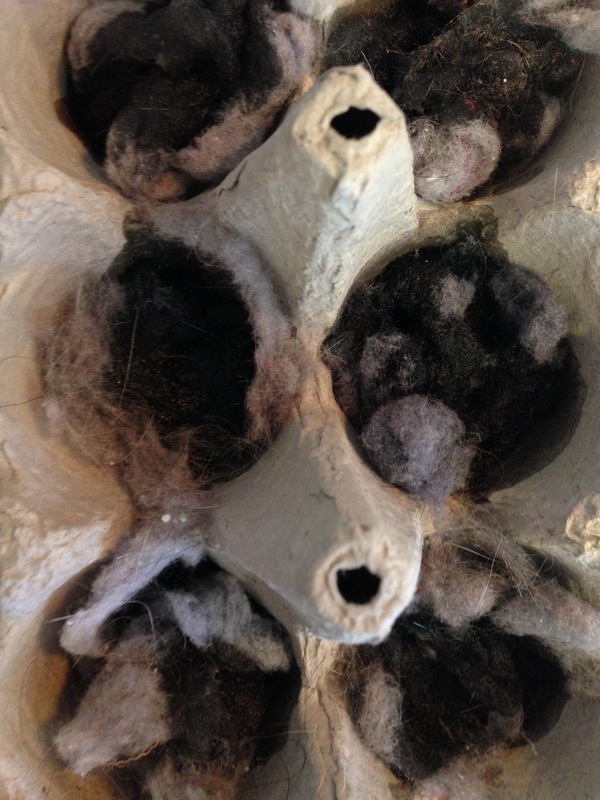 Let this cool, then cut apart each egg compartment. Each one is it’s own firestarter! 2. 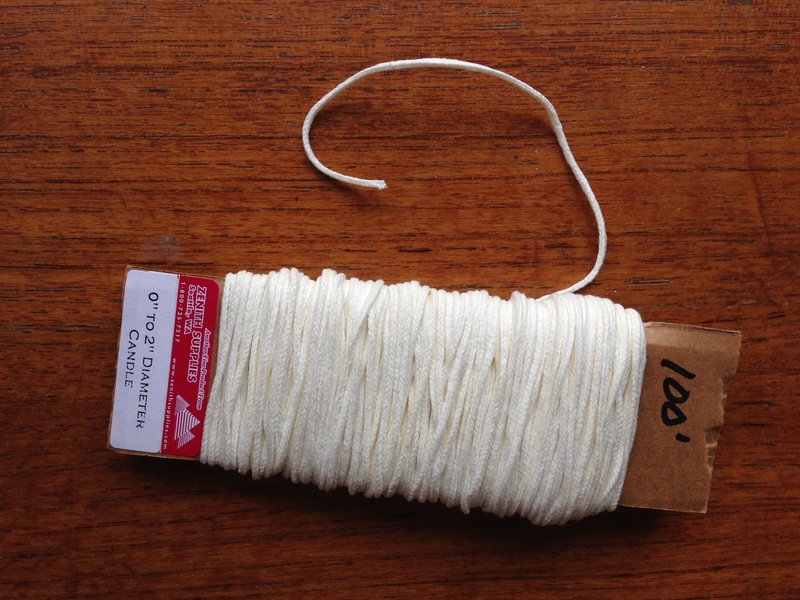 Cut pieces of wick long enough to wrap around the pine cone a time or two. I used a piece about 8-10″ long. 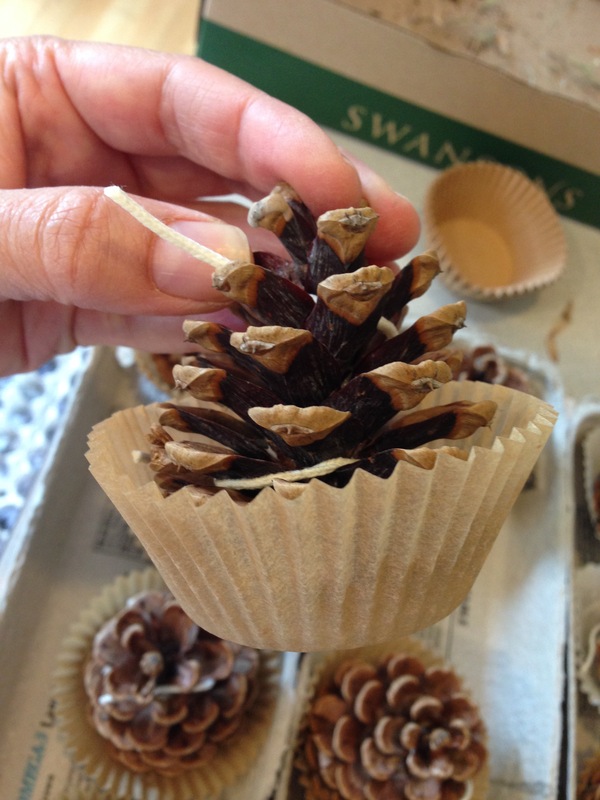 Wrap your pine cones with wick and place them in cupcake papers which are sitting either in a cupcake tin, or on some old cardboard. 3. 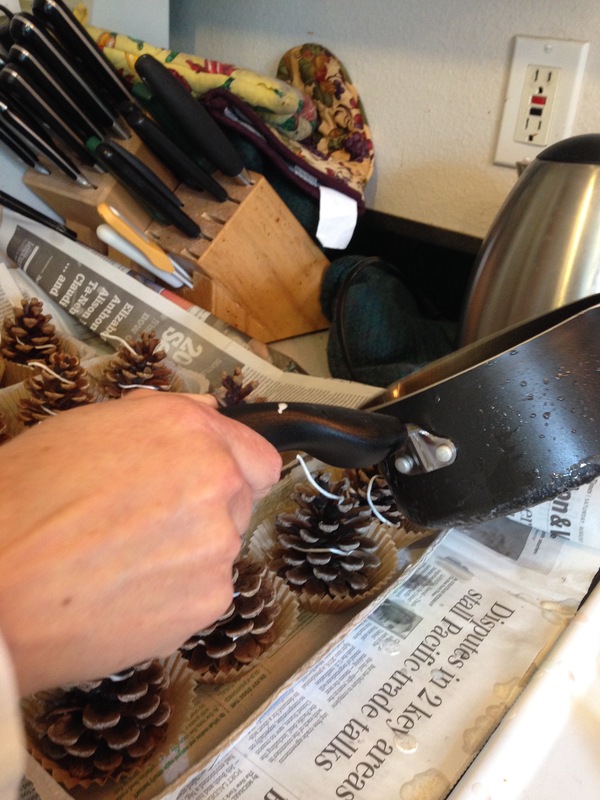 Pour a bit of wax over the pine cone, just enough to get some of the wick to stick to the pine cone. A little will fill the bottom of the cupcake paper, too. 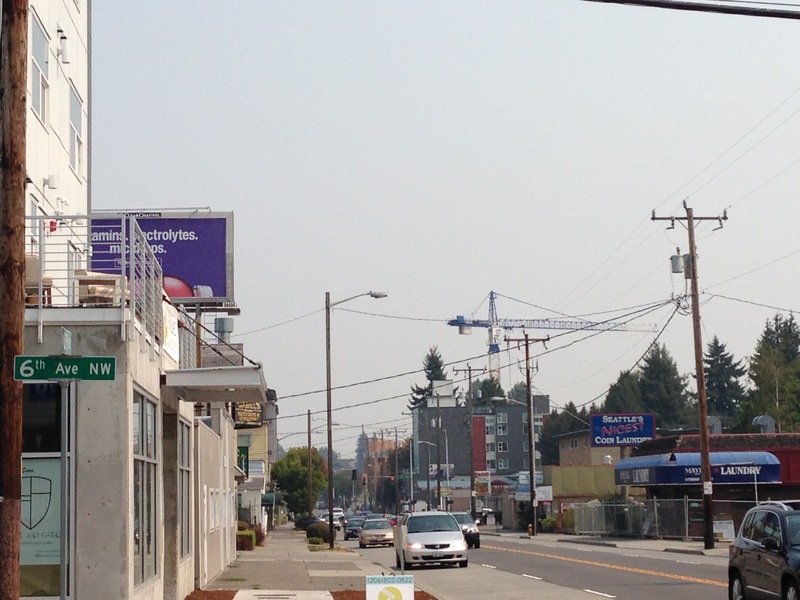 Seattle skies show smoke blown in from Central Washington fires. I’ve spent a lot of time this past month exploring sites like http://www.wildlandfire.com/ to see exactly what part of the United States is on fire at the moment. And I’ve been having some weird thoughts. You see, when you look at the tiny little fire icon on a map, it doesn’t seem real. It just looks like a tiny little baby fire, the sort that you could snuff out with a wet towel or a fire extinguisher. So then I click on the tiny baby fire icon to find out more information. Let’s say, for example, the More Info tells me the fire is 12 acres big and has been burning for a month. It tells me the resources on hand are 19 fire engines, and at least 30 firefighters. I start wondering how 19 fire engines and 30 firefighters have still not put out a 12 acre fire after a month. I get silly ideas, like: why don’t the residents of the nearby city do a bucket brigade? Why don’t I just drive 6 hours to the fire and put it out myself? With, you know, my mental willpower, rain stick, and a whole lot of spit. But then I think about how busy the map makers must be this time of year, trying to keep maps like this updated. I think about how it’s likely by now the fire has in fact been contained even though the website doesn’t say so. I think of how many firefighters are working hard out there. I think of how resources are likely being diverted to fight the significantly larger fires. I think of how many firefighters have died fighting the fires this year. And I’m grateful so many people are making such a strong effort to put out all the fires, big and small.